No matter what stage of your life you’re living, if you’re examining vocation options and choices, a court stenographer career may be exactly what you’re looking for. 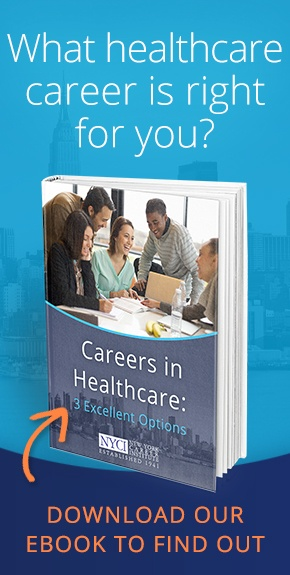 This profession has an appeal that is ageless and timeless; an impatient student eager to join the workforce as soon as possible and a working mom with kids in school can both discover the same advantages to pursuing this exciting occupation that has been and continues to be one of the most rewarding jobs in the world. Every day that you work as a court stenographer, you learn something new, gain some information or insight into another reality that you didn’t have yesterday. Court reporting is rarely dull for people who enjoy learning and living life to its fullest! You’ll have opportunities for many assignments, and every assignment is different. Every new assignment introduces you to new people, new stories and possibly even new workplaces. 2. Good income and job security. In 2014, the Bureau of Labor Statistics (BLS) reported that the top ten percent of court stenographers earned $94,140 annually with average annual wages of $55,000. And if you want to live and work in New York City or Los Angeles, you’ll be among the highest paid court stenographers in the country! The National Court Reporters Association (NCRA) predicted a shortage of court reporters by 2018. This industry outlook is based on retirement (70% of the court stenographers in 2014 were age 46 or older) and new requirements mandated by the Federal Communications Commission (FCC) that broadcasting networks must make closed captioning available to everyone. 3. It’s a one-of-a-kind career. Many careers require basic technological skills or typing accuracy. Your skills as a court reporter are not those that “everyone” can have. Court reporting utilizes a skill that is rare and in great demand worldwide. In fact, many students are frightened by the challenge of learning the technology and the different communication “language” court reporters master. Maybe your Associate Degree in Stenotype Court Reporting should also be awarded with a badge for bravery! Online, distance learning is a top choice for continuing education. Some schools will offer traditional learning and online learning, both with strong support and accessibility from faculty members. It’s important that your school be recognized by the U.S. Department of Education and is a member of the NCRA. Court reporters have a wealth of interesting jobs from which to choose, and can also work the days and times they need; when they are able to increase their hours or need to readjust their workdays, court reporters have that luxury. Court reporters can work 9-5 or part-time and can change their schedule weekly to accommodate other commitments. 6. You can work anywhere in the world. In the U.S., New York City is among the cities demanding more court and hearing reporters, but you can take your skills to any area of the country. If you’re interested in an overseas assignment, our government and many corporations have offices and facilities in other countries, where the need for accurate, historical record and data-keeping is often critical. 8. Court reporters actually make a difference! Court reporting is a highly respected occupational field and has been for centuries. The NCRA defines this professional career as one of highly trained professionals who have “a unique ability to convert the spoken word into information that can be read, searched and archived.” The legal profession and our government recognizes that court reporters understand the sensitivity and privacy often needed to protect a privately recorded, documented case. Much of the information that is now open to the public was once protected by a court stenographer. 9. Graduate in less time. Court Reporter educational programs have been cited as being among the best degrees you can earn in as little as two years. When your peers’ education is only halfway complete, you can be finished with formal learning and already earning! 10. 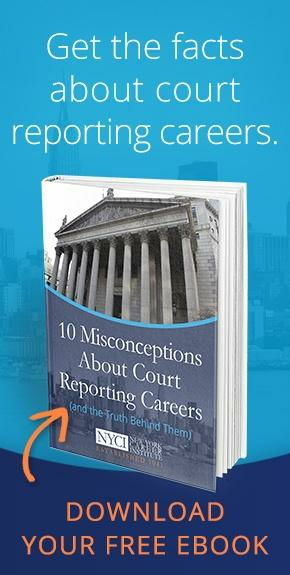 Court Reporting skills can lead to other exciting careers. A Certificate in Stenotype Hearing Reporting prepares you for an entry-level position as a Stenotype Hearing Reporter who can translate dictated words up to 180 words per minute (wpm). A Stenotype Court Reporter Associate Degree prepares you for an entry-level position as a Court Reporter. You should be able to translate dictated material at up to 225 wpm. The degree and the certificate allow you to seek almost any kind of job that requires a rapid data entry professional, in addition to court reporting. For example, as a webcaster, you might translate real-time, spoken broadcasts to an online format for immediate access. While earning your AOS degree or certificate, you may decide you want to specialize in Communication Access Real-Time (CART) Translation, which is closed captioning for the hearing impaired. To take the exam to become a CART Reporter, you must already be enrolled in or have completed the requirements to be a stenotype professional. So, in addition to working in courtroom settings as a judicial reporter, you may be a professional who offers real-time closed captioning for sport and entertainment venues, television, churches, corporate gatherings – anywhere captioning is needed.